A problem has been identified at Samsung Galaxy S10 models since the March 28 firmware. To solve the problem, we are in the process of working the solution. We apologize for any inconvenience to you and will make sure that you use it soon. What if your car provides functions you need, just as your smartphone? Leave it to oncar! oncar mirrors the screen and sound of your smartphone into a car display. 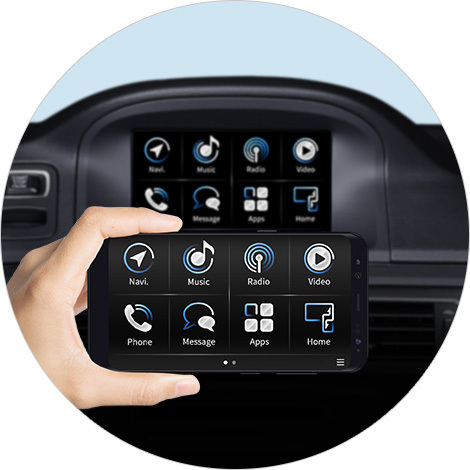 oncar removes the boundary between smartphone screens and car displays. 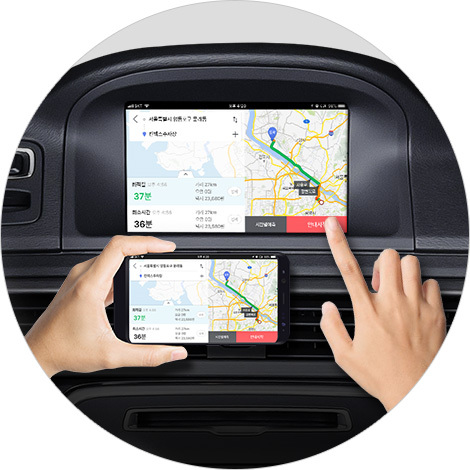 You can meet your smartphone on a larger car display. 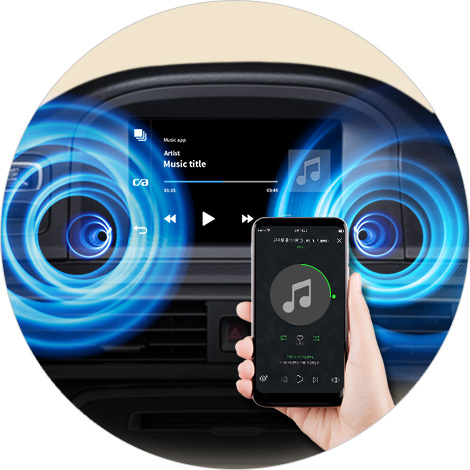 Your smartphone can be connected to a powerful car audio system. Enjoy your audio contents in the best condition. 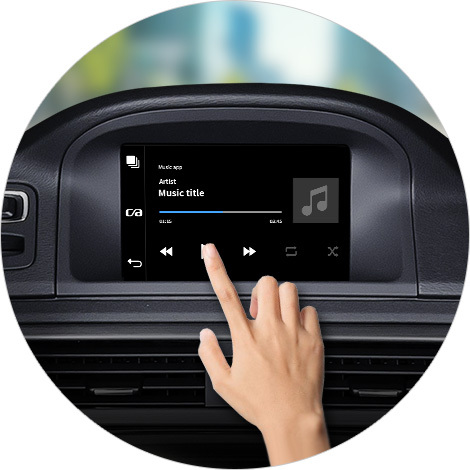 You can control your smartphone by touching the car display. Use the most familiar user interface while driving. The most convenient, most friendly, and smartest option is already in your pocket. oncar lets you feel this convenience in your car, either. Applications in App store are ready to be with you while you are driving. Different vehicle displays may support different applications. oncar always keeps the danger of using a smartphone while driving in mind and prevents distractive contents from being exposed. oncar’s safe-driving functions are constantly improving. oncar knows which app contents are useful and which can be dangerous during driving. oncar blocks contents that disturb you and helps you concentrate on your driving. 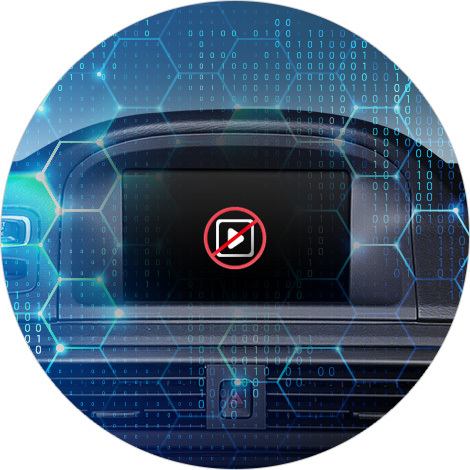 oncar has its own integrated multi-media player. This enables you to control media apps more easily and to focus on the road. 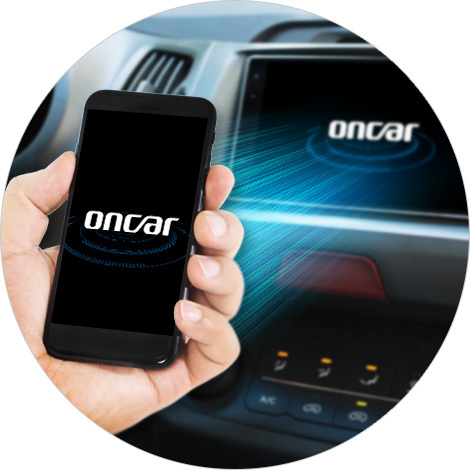 If your smartphone is Android, oncar is available. It also supports wired and wireless environments. 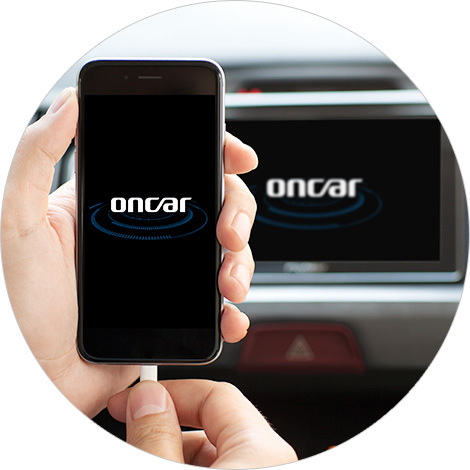 oncar provides automatic connectivity after the initial connection between your smartphone and a car display. Just connect your smartphone and a car display via a USB cable, and use oncar. It is not only simple, but also stable method to enjoy oncar. There are no USB cables. Or, USB cables are annoying. oncar in wireless mode would satisfy you. You can meet oncar with more than 100 car displays, and the number has been increasing. See where you can experience a special driving with oncar.